I think this book was just a little too far out there for me. 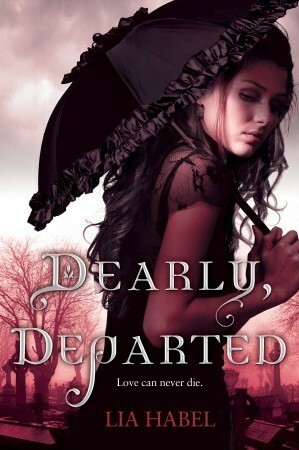 The concept was very good and I give the author points for originality (romance between living and undead? When has that happened before?) but I just couldn't get into the story as much as I would have liked. I did like the "ethics" presented in the book on whether all zombies should be exterminated or if some should be given a chance for another life, even if it is an undead life. I still don't understand how some turn violent and some are still essentially normally functioning humans. The explanation of prions causing the disease rather than a virus is by far the more believable reason for the walking dead that I have heard. I wouldn't put it past those nasty little proteins to do something like that. I finally realized that I am not a fan of changing narrative during books. One or two different POVs is fine, but not four or more. I just get far to confused as to who is speaking and what their personality is supposed to be like. Pamela was really the only character I thought had a different voice; the others all sounded the same to me. And when I wasn't in Nora's POV, I disliked her. Her narrative presents her as a "strong" female who doesn't take no for an answer and will do rash things. But the other characters seemed to always present her as just a tiny little flirt who primarily cared for herself. I couldn't keep up on whether I liked her or hated her. The romance. I would like to say this first: GROSS. I'm sorry, but the romance just didn't do anything for me. She was in love with a CORPSE. She kissed cold, dead, decaying lips and liked it (Katy Perry, I dare you to sing about that). I think this is really the main reason I took off a half star and am stating my opinion as "ok." I just... *shudder*. Anyway, I won't be continuing the series since I didn't fall in love with the characters or the story. I might recommend for those who like a little weirdness in their books, but not very highly.